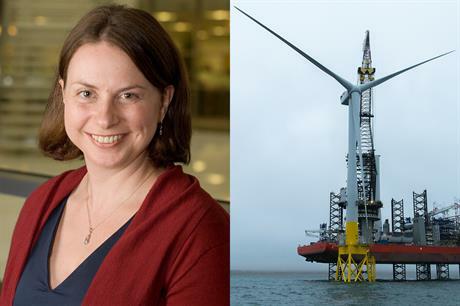 UK: Swedish developer-utility Vattenfall has named Danielle Lane as its new UK country manager, replacing Piers Guy who leaves after five years in the role. According to Vattenfall, Lane has been in the wind industry for 18 years, at various roles including the Crown Estate, Ørsted and Centrica. Currently, Lane is leading Vattenfall’s offshore pipeline as director of portfolio and transactions, having joined the company in May. From August, Lane will combine this role with being UK country manager, following Guy’s departure over the summer. "I am hugely excited to have the opportunity to represent Vattenfall in the UK as we build on our ten-year old wind business. "We are in Britain to grow and to support the UK’s power, heat and transport sector’s bid for clean air and freedom from fossil fuel," Lane said. Vattenfall CEO Magnus Hall added: "In Danielle we will have a new UK country manager who has all the experience and skill needed to support the growth of Vattenfall’s UK businesses. "At the same time, I am sad to see Piers Guy leave us. He has done much to grow our UK wind business and deserves a lot of credit for that." In the UK, Vattenfall has 396MW of operating onshore wind and 590MW of offshore wind capacity. It is currently developing the Norfolk Boreas and Norfolk Vanguard offshore sites, off the east coast of England, totalling 1.8GW. The developer is also planning a extension to the 300MW Thanet offshore wind site. In May, Vattenfall completed construction of the 11-turbine European Offshore Wind Deployment Centre (EOWDC) off Scotland’s east coast. It also has a 500MW onshore wind development pipeline.